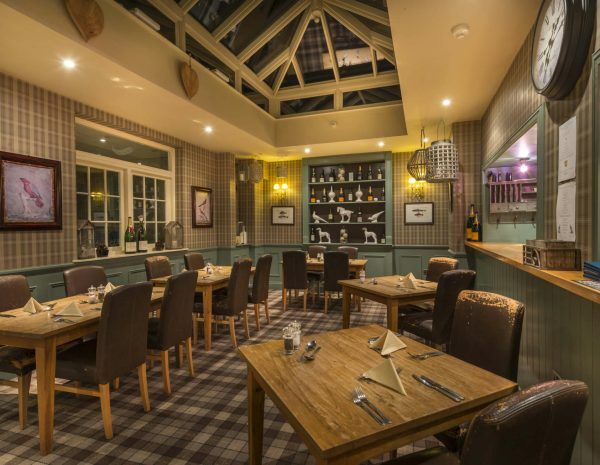 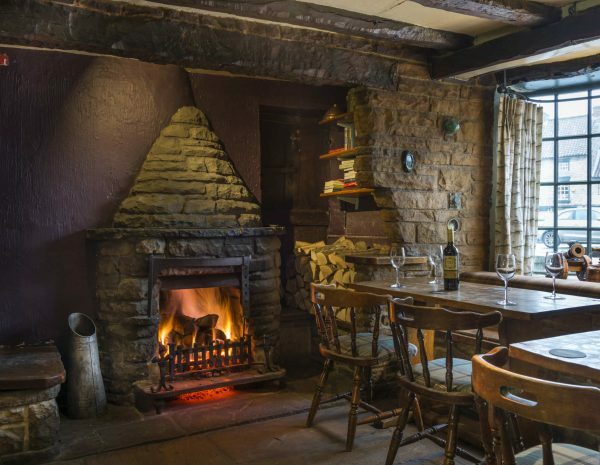 Each of our coaching inns boasts unique, exciting and varied menus, with choices to suit every taste, from classic dishes to seasonal mains and daily specials, you'll always find something to temp your taste buds. 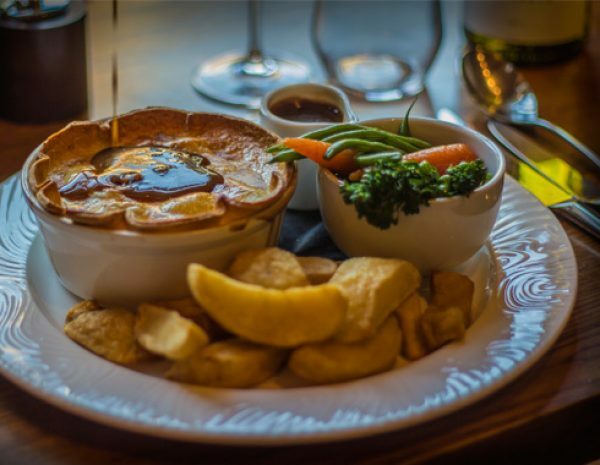 Our chefs use the highest quality, locally-sourced ingredients to create our delicious and mouth-watering dishes, so whether you fancy crispy, golden Welsh rarebit, or a hearty and comforting Yorkshire beef & ale pie, there is something for everyone. 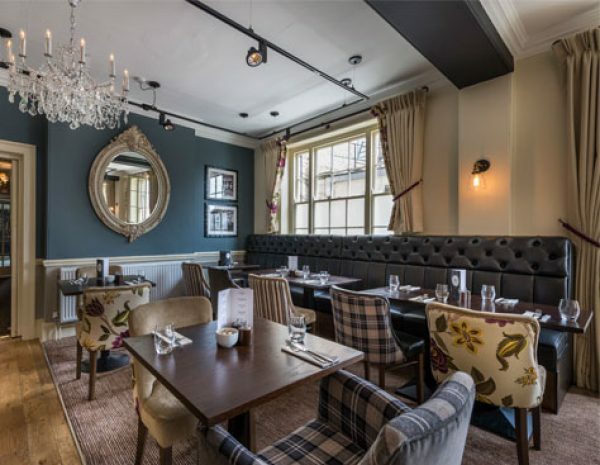 For real foodies seeking new food experiences, why not visit one of our AA Rosette winning Eateries, including The Three Swans Hotel (Market Harborough, Leicestershire), The White Hart Royal Hotel (Moreton-in-Marsh The Cotswolds) and The Talbot Hotel (Oundle Northamptonshire). 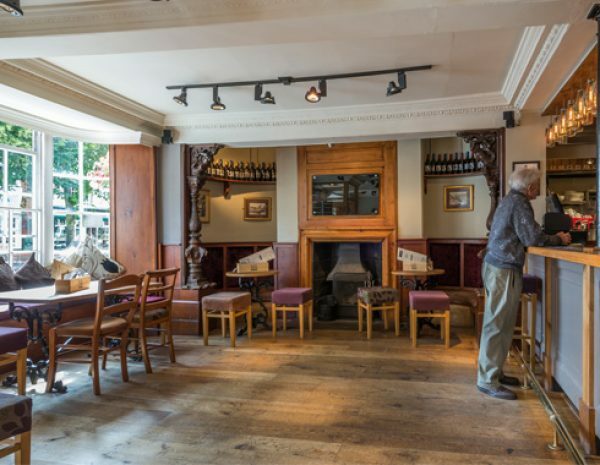 The Eatery at the White Hart Royal offers a comprehensive but not overwhelming choice. 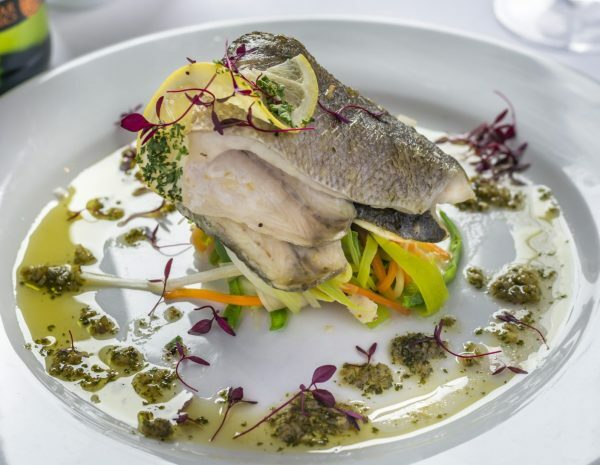 Our menu is available throughout the hotel and not only in the main courtyard restaurant. 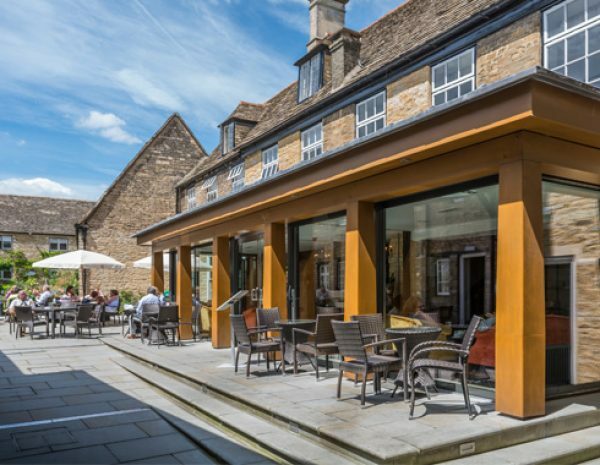 Try dining in the Snug Bar, or any of our lounges, or even alfresco in the courtyard. 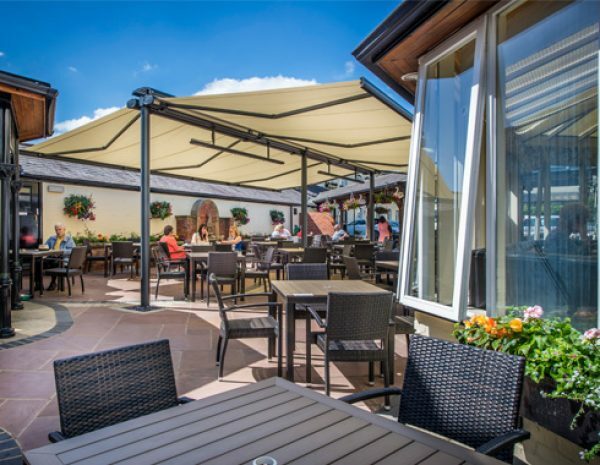 The Eatery at the Talbot is so named because it offers a comprehensive, but not overwhelming, menu available not only in the main garden restaurant or in the bar or School Room but also alfresco in the courtyard or garden. 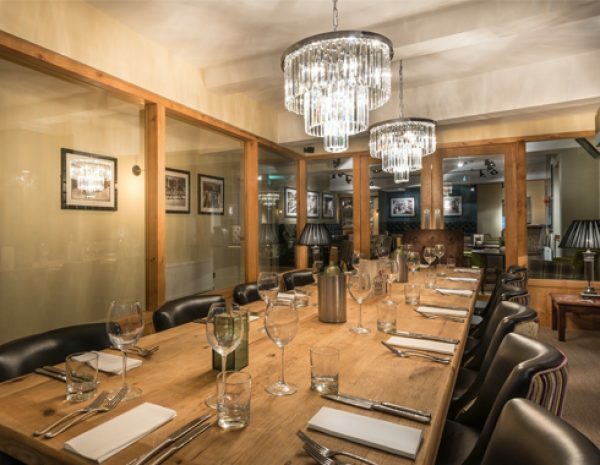 For larger groups we also have a 14 seater Oak Table with its own discrete area. 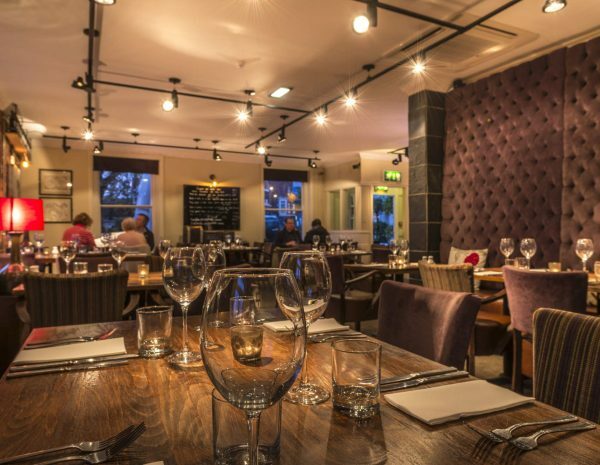 The restaurant has one AA Rosette for an experience “that stands out in its local area”. 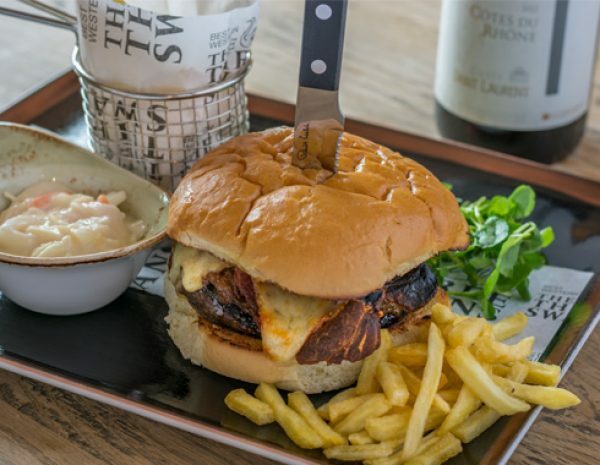 The main menu is reviewed regularly by head Chef Aaron who sources ingredients locally but also travels further afield to obtain what he wants. 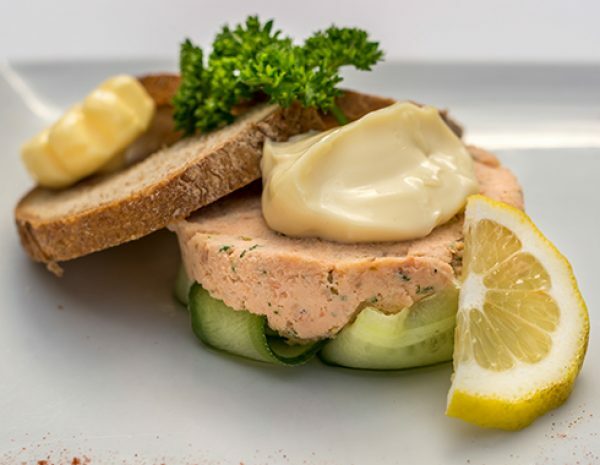 For breakfast aficionados try Aaron’s breakfast selection – the smoked salmon and scrambled egg is simply to die for. 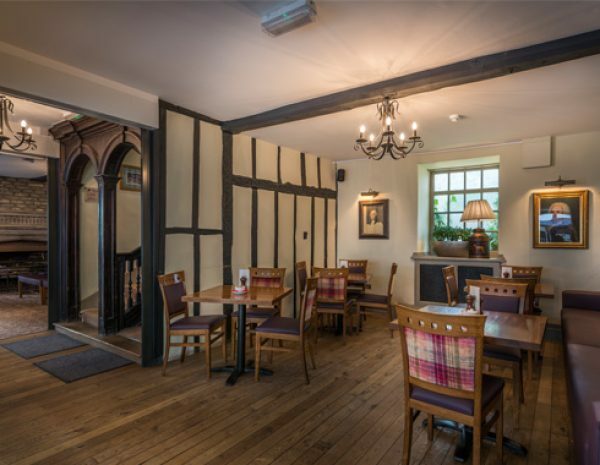 For those private gatherings and white linen service think about our panelled Whitwell Room, so named after an early proprietor of the Talbot who reputedly acquired part of the ruins of Fotheringhay castle to rebuild the hotel in 1626. 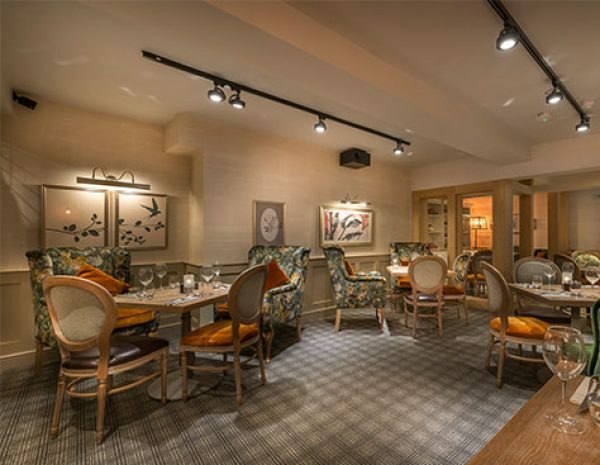 The Eatery at the Three Swans is so named because it offers a comprehensive, but not overwhelming, menu available not only in the main restaurant but also in our front bar and alfresco in our courtyard, the courtyard also hosts a Pizza oven which is available on weekends throughout the summer. 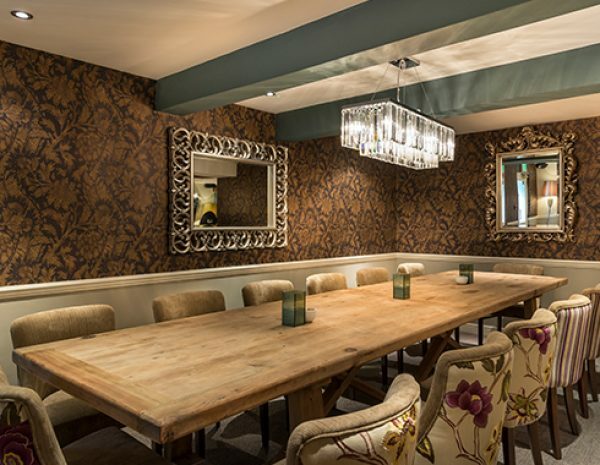 For larger groups we also have a 14 seater table in the Oak Room, a discrete area just off the restaurant cocktail bar. 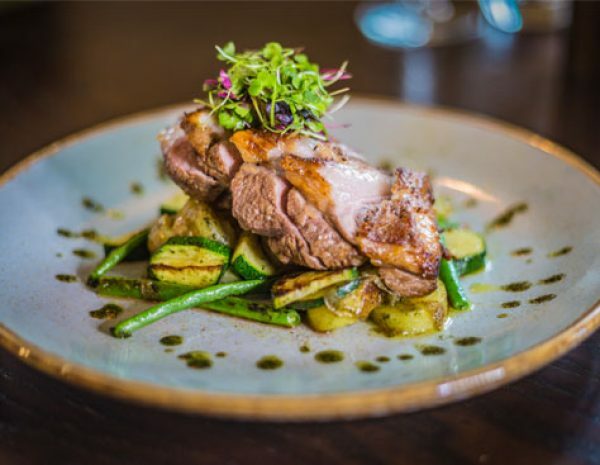 The main menu is reviewed regularly by our head Chef who sources ingredients locally but also travels further afield to obtain what he wants. 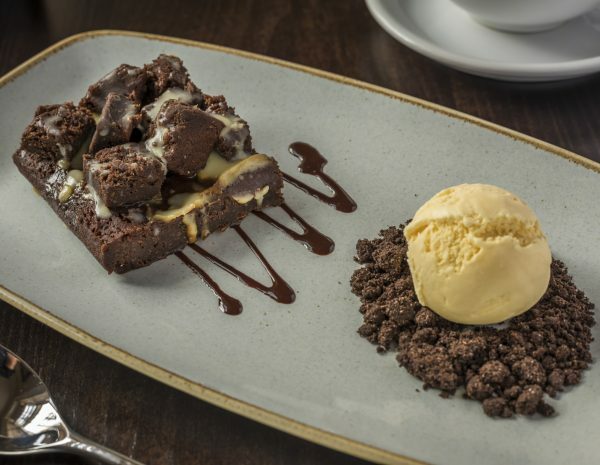 All of our sweet treats, desserts and afternoon teas are all made in house by our talented kitchen team. 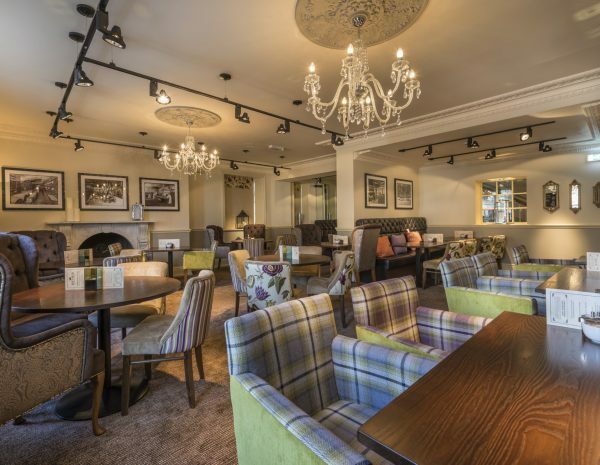 At the White Hart Hotel we have two perfect settings for you to enjoy food and beverages. 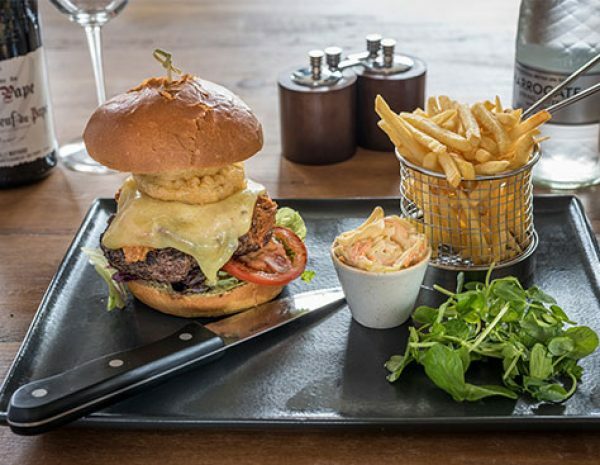 Food is served all day and is available between 10am and 9.30pm in our Courtyard Bar and from 6.30pm to 9pm in our Riverside Restaurant. 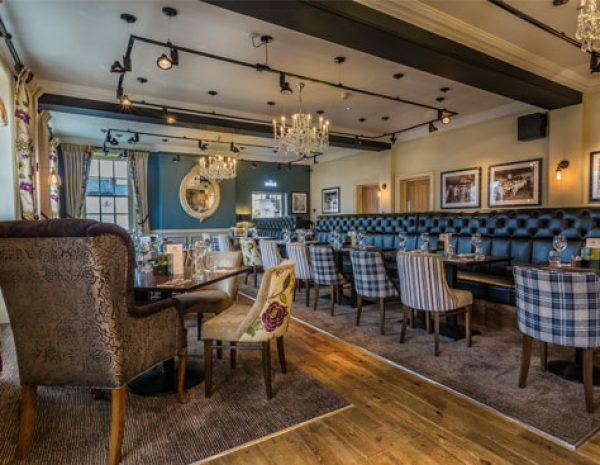 Whether you are meeting with friends or family, wanting to unwind, or looking for somewhere to host a business appointment we will be delighted to cater for all your needs. 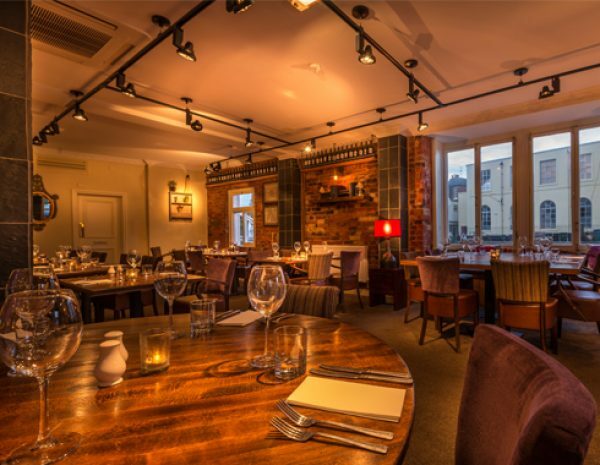 Whenever possible our kitchen team look to source our ingredients from local suppliers. 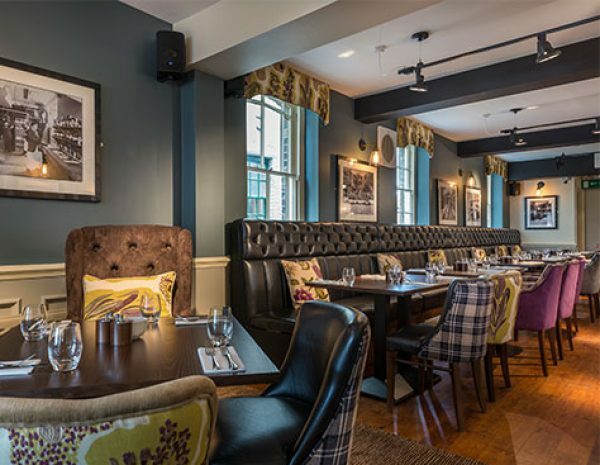 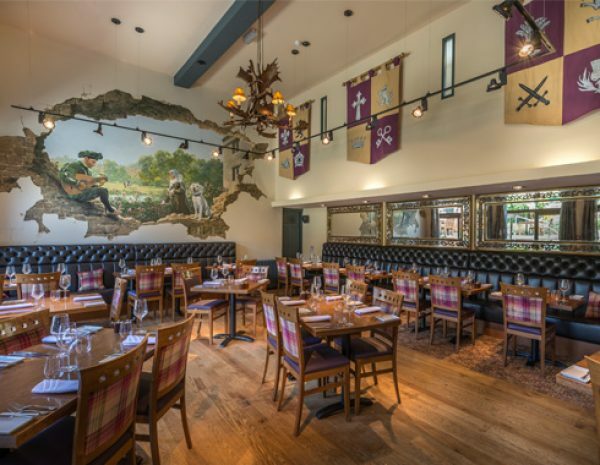 The Eatery at the Royal Oak is so named because it offers a comprehensive, but not overwhelming, menu available to dine from both in the newly refurbished main restaurant and main bar area. 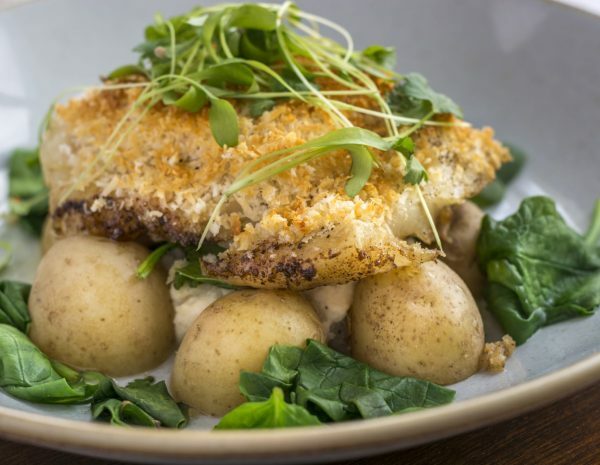 The main menu is reviewed regularly by our kitchen team who source ingredients locally, but also travels further afield to obtain the ingredients that go into making our delicious dishes. 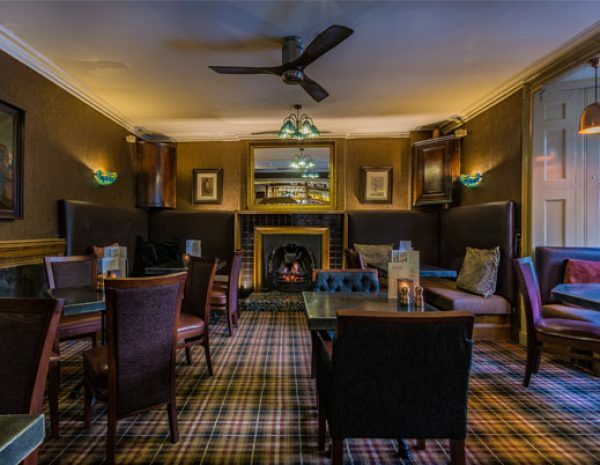 Whether you are meeting with friends and family to unwind, or looking for somewhere to celebrate a birthday or anniversary, the Royal Oak is perfect. 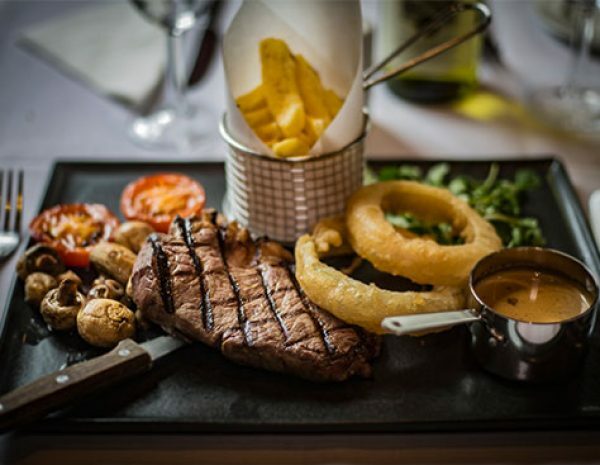 We offers a large selection of food for you to choose from. 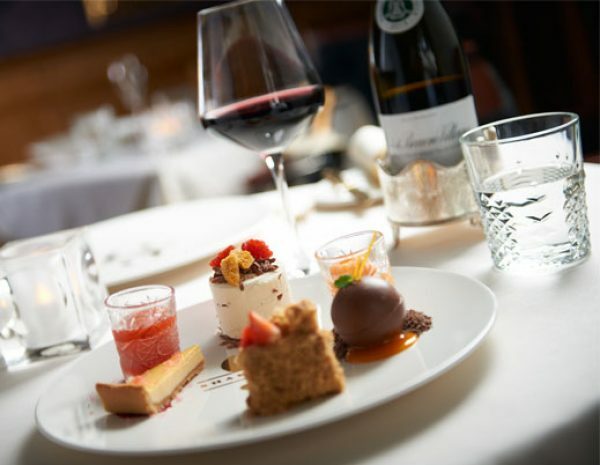 It doesn’t matter if you are looking for a full three course meal or just a snack, the team have created a patisserie cabinet with treats that change daily, including chocolate fudge cake, muffins, pastries and scones. 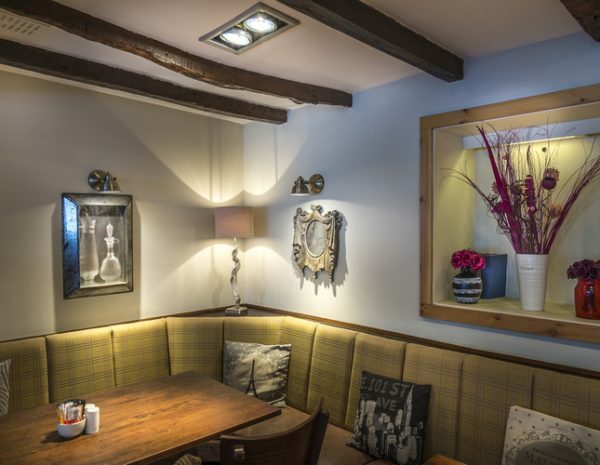 For larger groups we also have a 14 seater Oak Table with its own discrete area. 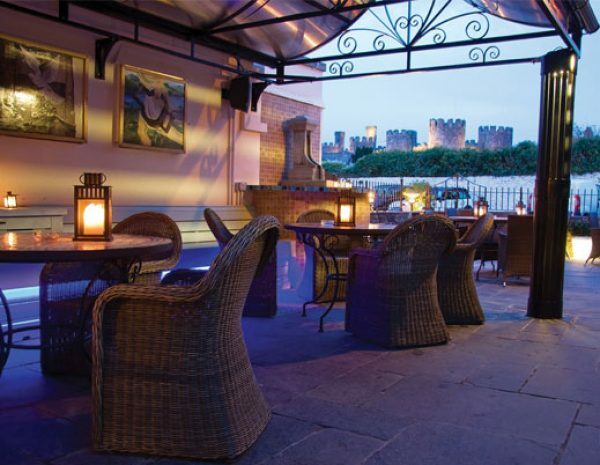 One of the main reasons so many guests return to the The Castle is because of the great food and personal service. 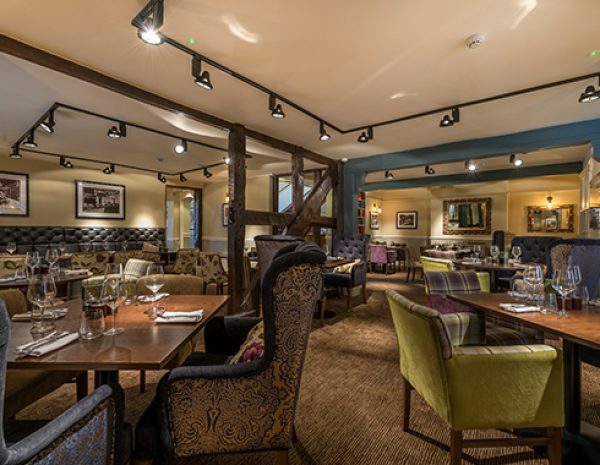 Our seasonally changing menus receive an awful lot of our time and attention – created by our gifted local brigade in the kitchen led by Head Chef Leigh Marshall. 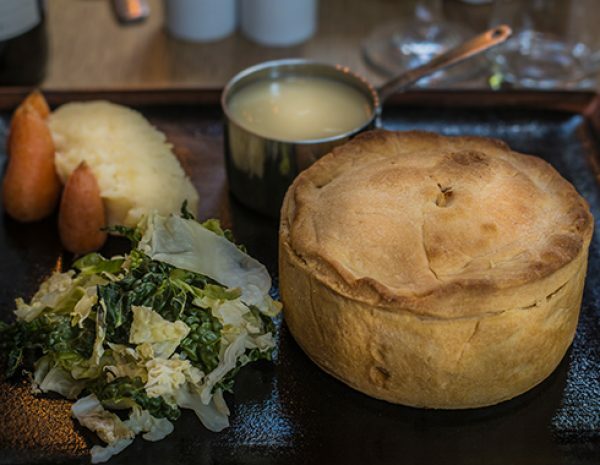 We try and use local Welsh food and they have found and developed a rich source of artisan producers and suppliers. 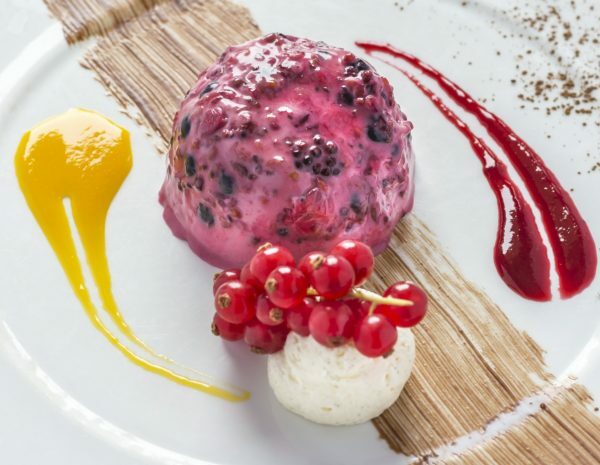 We all share the belief that a good hotel must have good food! 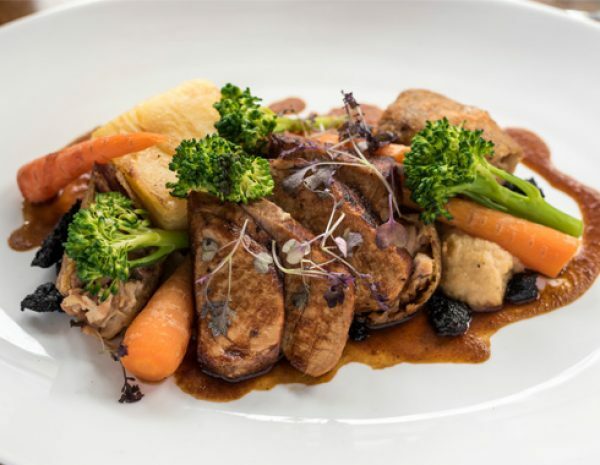 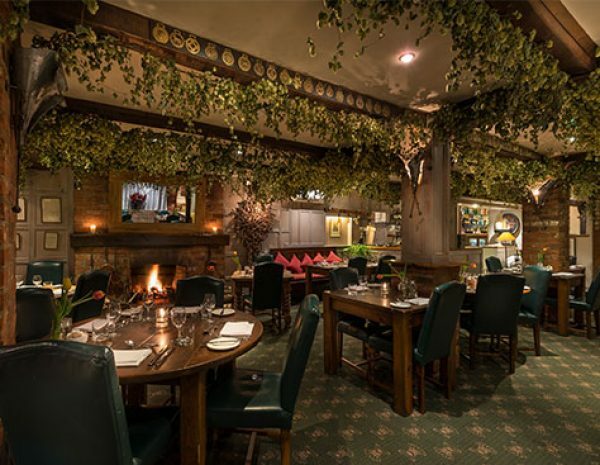 The food reflects all that is good about local welsh produce and the hotel’s experience team, led by General Manager, Joe Lavin, ensure a non-fussy approach to the restaurant business. 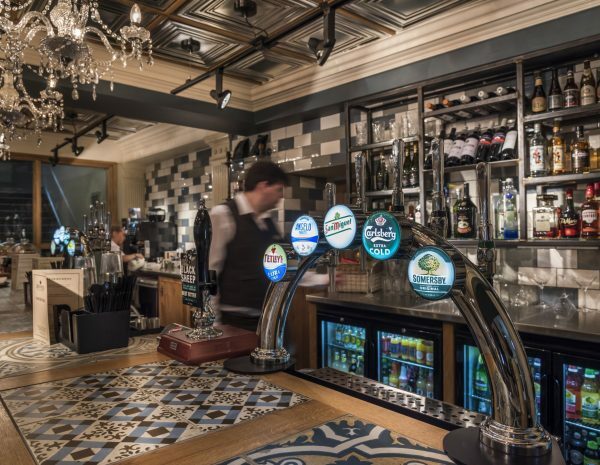 We serve an eclectic menu to suit all tastes in Dawson’s Bar & Snug alongside the new Shakespeare’s Exclusive Dining a la carte menu (and Garden Courtyard – weather allowing) and Joe has handpicked some great wines and beers to complement, including a great variety of local ales. 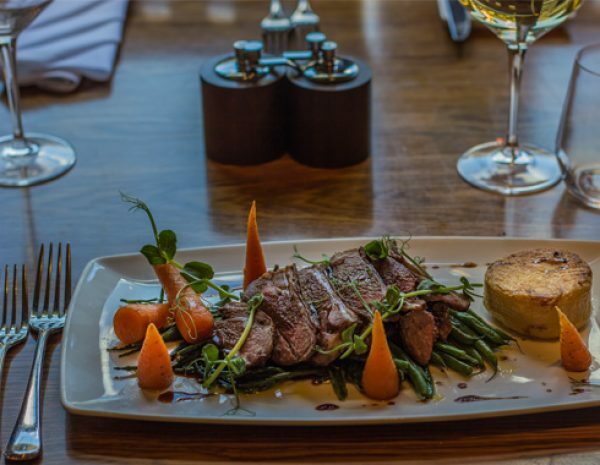 The menu changes regularly and is supplemented by seasonal additions and Sunday roasts when local Welsh beef is always served. 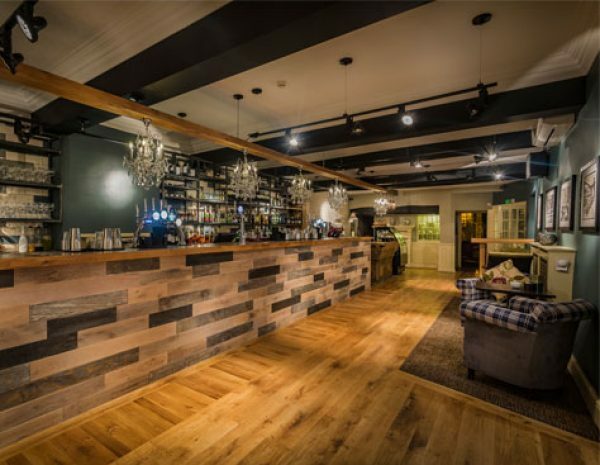 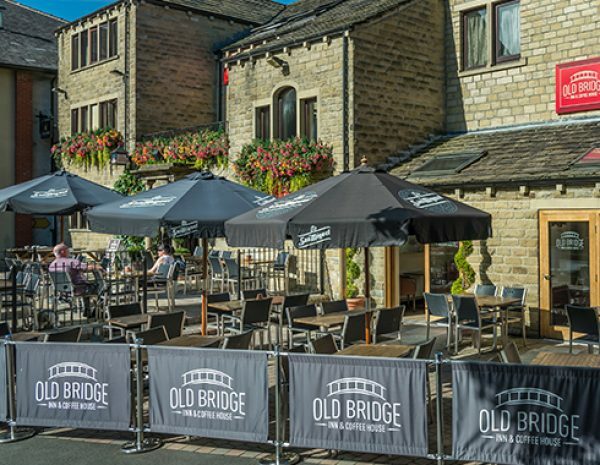 Last year The Old Bridge Inn and Coffee House had a £250,000 makeover which saw an extension and relocation of the bar area and the creation of the new restaurant and superb outside dining and drinking area. 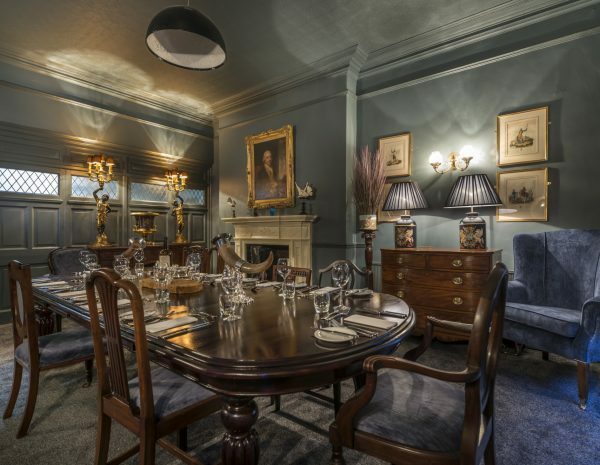 As a result, the property has been substantially modernized without removing its character. 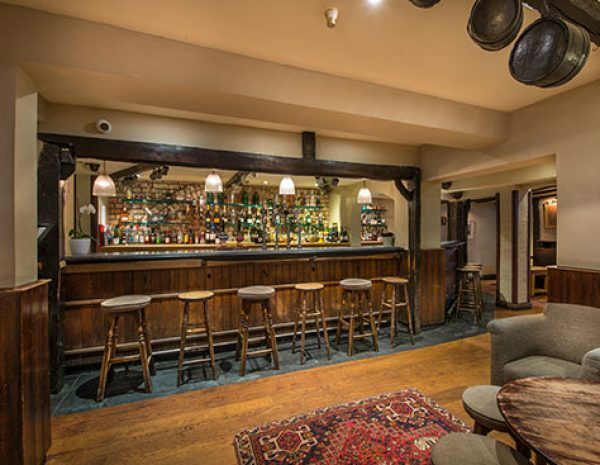 An open fireplace and traditional beams can be found in our restaurant, with the latter running through into our bar area, which provides a more modern twist on the traditional theme. 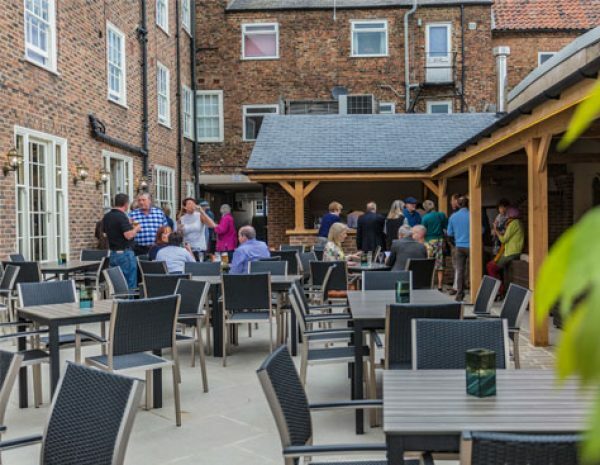 With a new terraced area outside, we have the perfect setting for you to enjoy food and beverages including a choice of 20 wines by the glass and a selection of up to 6 real ales. 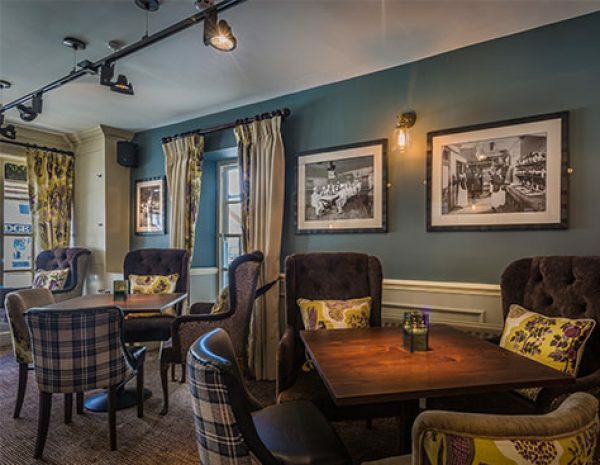 Along with our patisserie cabinet and a range of hot beverages, we have the perfect setting to accompany your visit to Holmfirth. 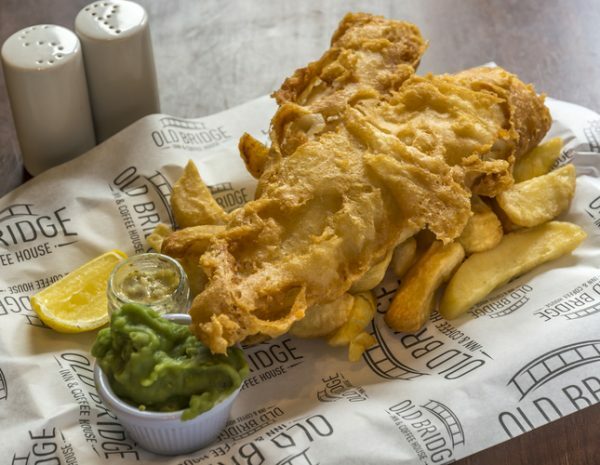 Here at the Old Bridge, we offer a large selection of food to cater for a wide variety of tastes. 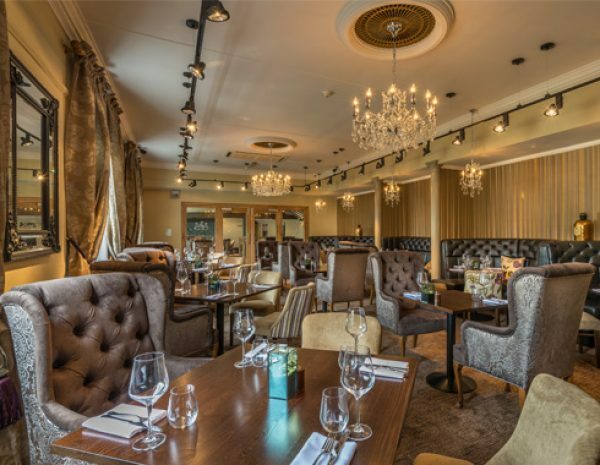 So whether you are looking for a 3 course meal or just a light snack, we are the ideal venue for family get-togethers and celebrations alike. 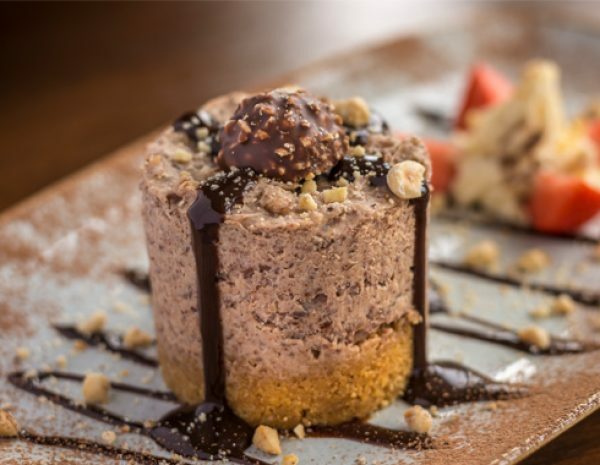 Our talented team of chefs have also created a wide selection of sweet treats including luxurious cakes, delicate muffins, sumptuous pastries and tasty scones. 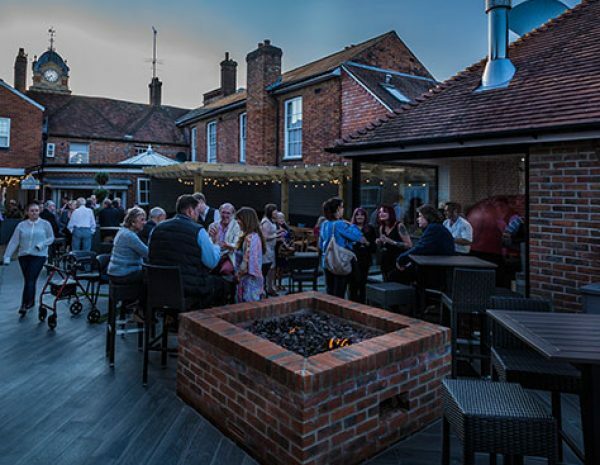 For larger parties and celebrations, there is “The Porcher”, a large table nestled in the corner of our bar area looking out onto the terrace with the capacity to seat groups of 14-16 people. 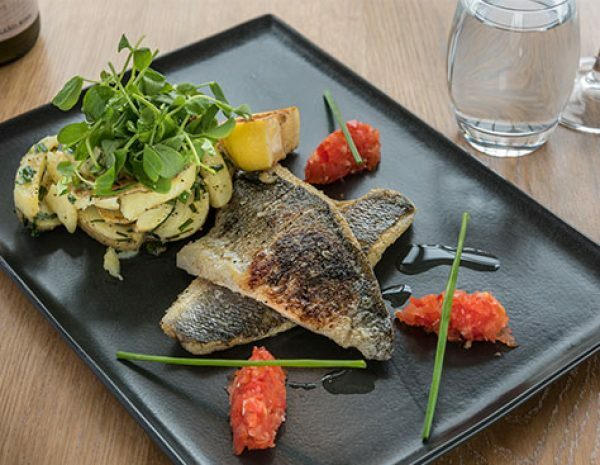 Our Eatery/Restaurant prides itself on fresh, local produce wherever possible. 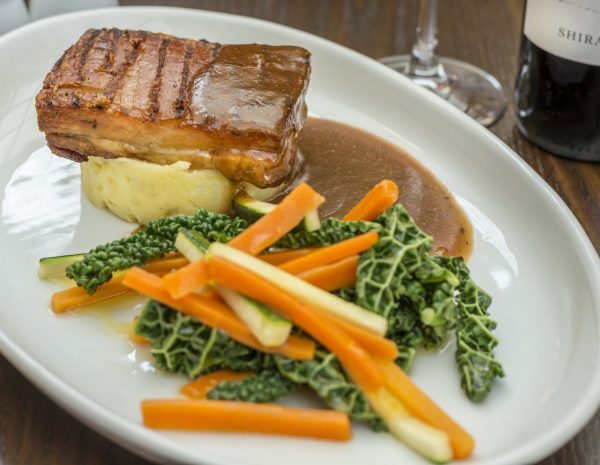 Our experienced kitchen team carefully prepare delicious, high quality meals from local pork, beef, lamb, fish and game. 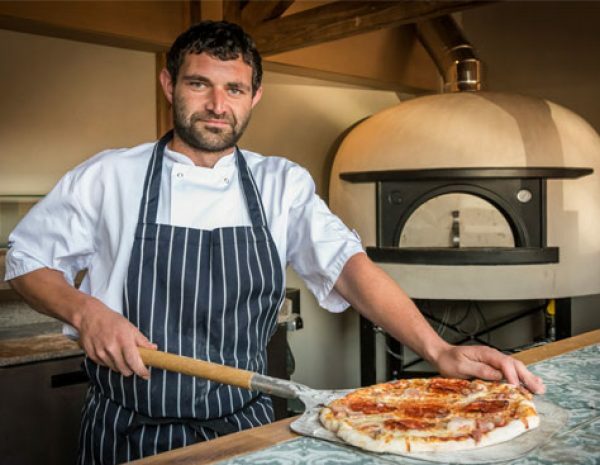 We also offer an extensive Pizza menu which are perfectly cooked in our outdoor Pizza oven. 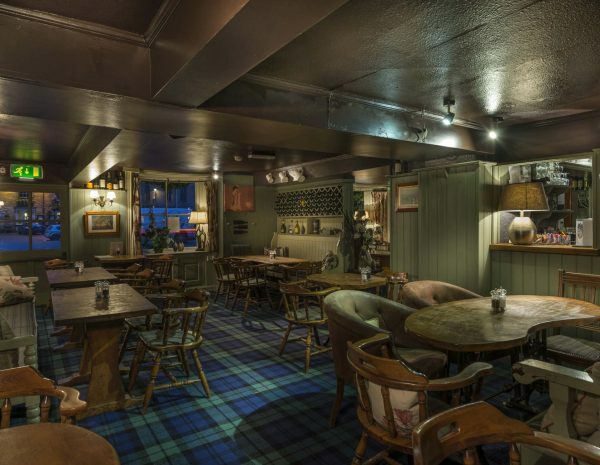 The Golden Fleece is the perfect setting for a casual or formal occasion. 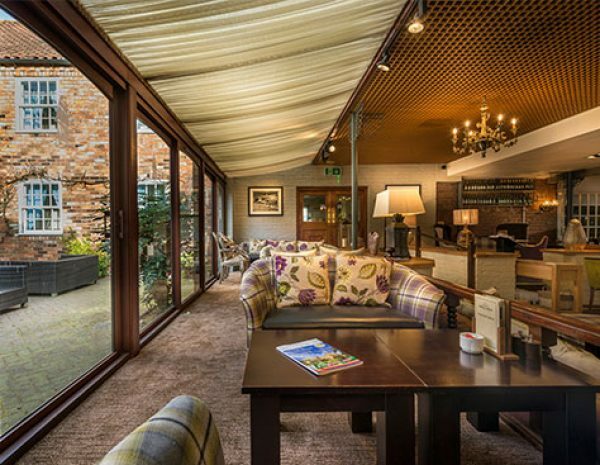 With plenty of different areas of the hotel to sit we will make sure you have a relaxed and fun experience. 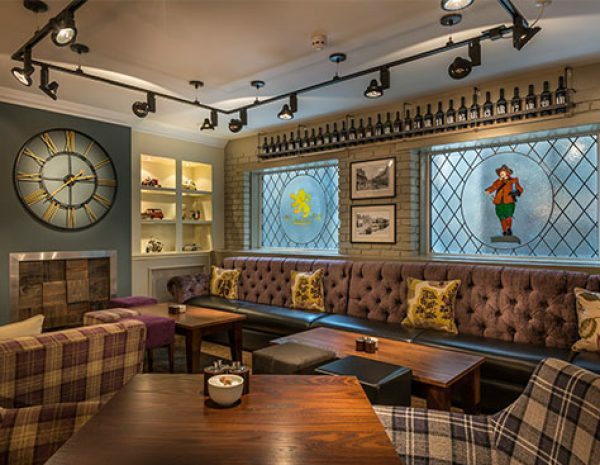 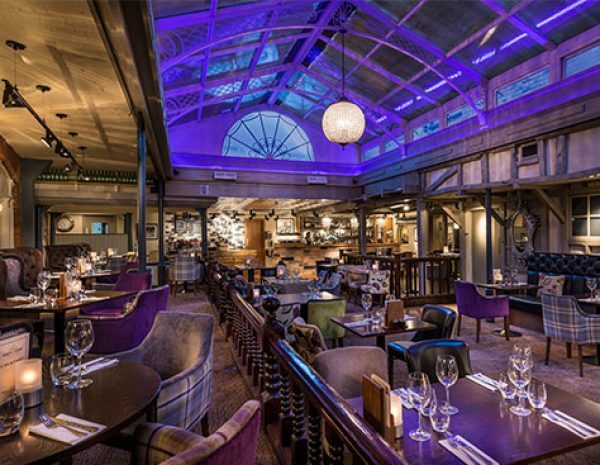 The King’s Head’s brand new Eatery & Coffee House concept puts food and beverage at the heart of the hotel. 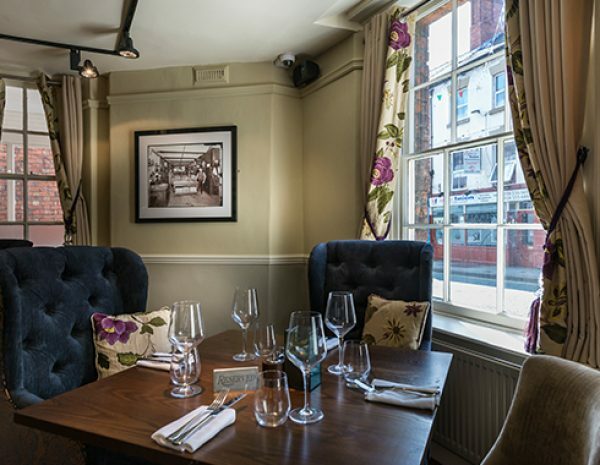 With the ground floor dedicated to creating a warm and welcoming experience, the newly refurbished dining and drinking areas are a comfortable and relaxing setting for any occasion. 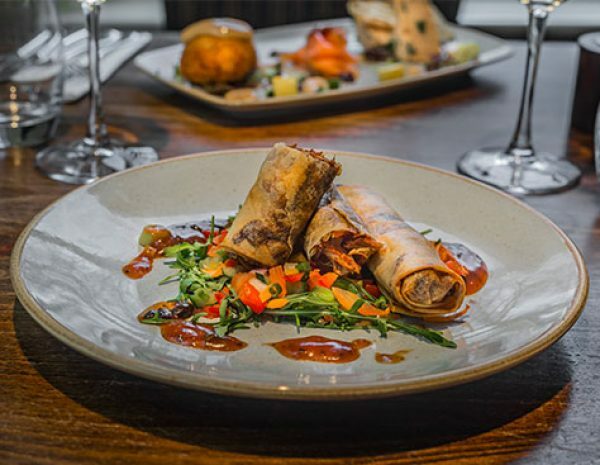 With fresh, local produce going in to every dish, our chefs take pride in providing the highest quality meals from grazing & sharing to desserts. 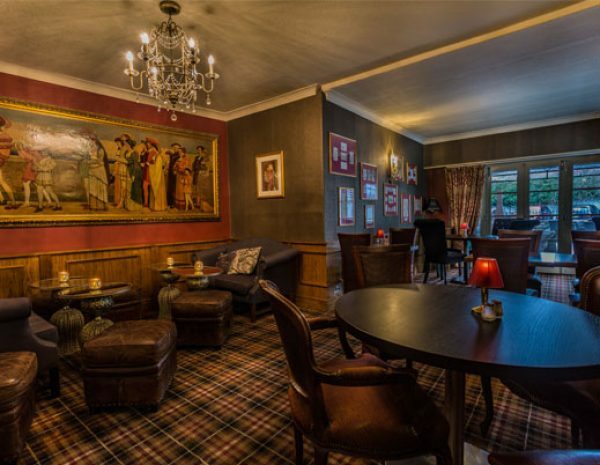 At the Admiral Rodney Hotel we pride ourselves on meeting your requirements. 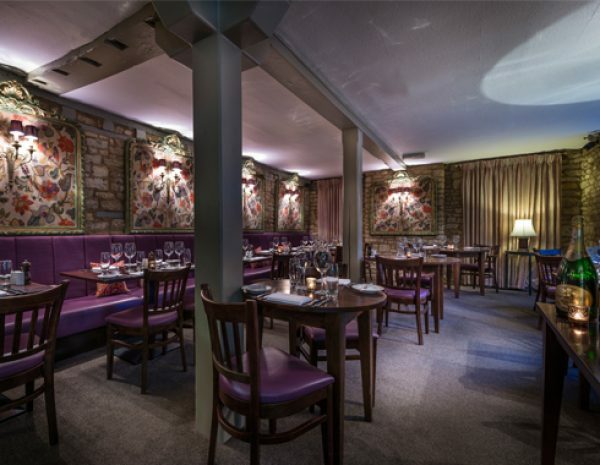 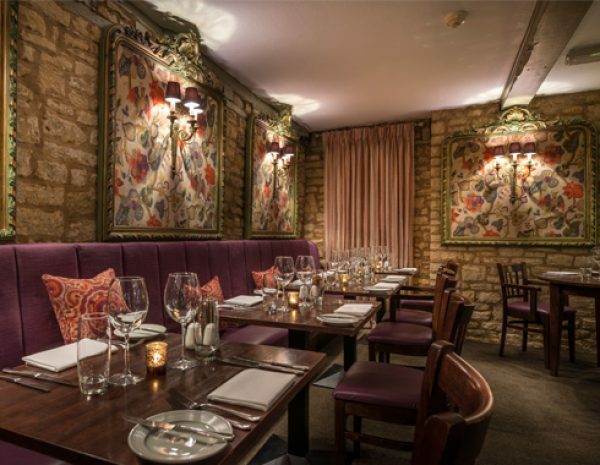 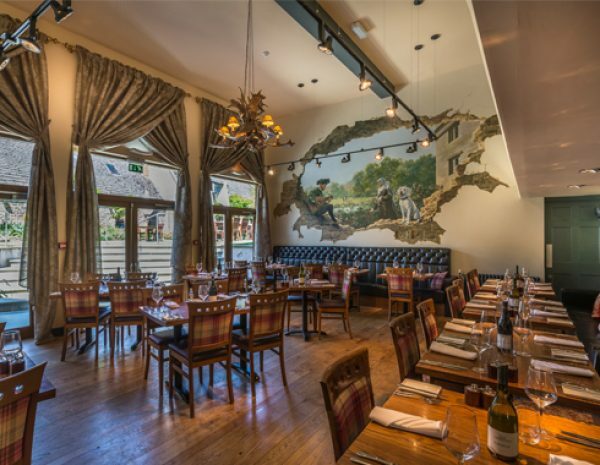 Whether you are meeting with friends or family, wanting to unwind, or looking for somewhere to host a business appointment or private function, we have the perfect setting for you to enjoy the occasion. 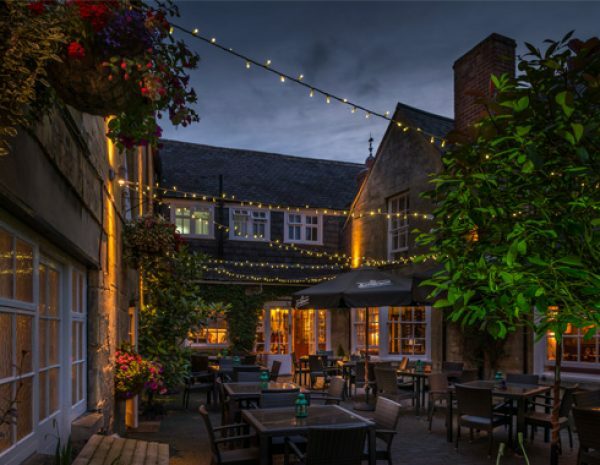 You can dine in the Courtyard Restaurant, al fresco in the courtyard, or enjoy the relaxed atmosphere of the Rodney Bar. 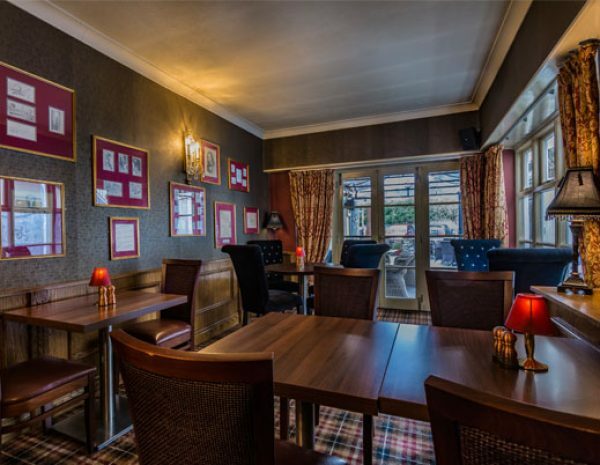 Our kitchen team use fresh local ingredients to produce cuisine that is contemporary English a la carte or traditional pub classic. 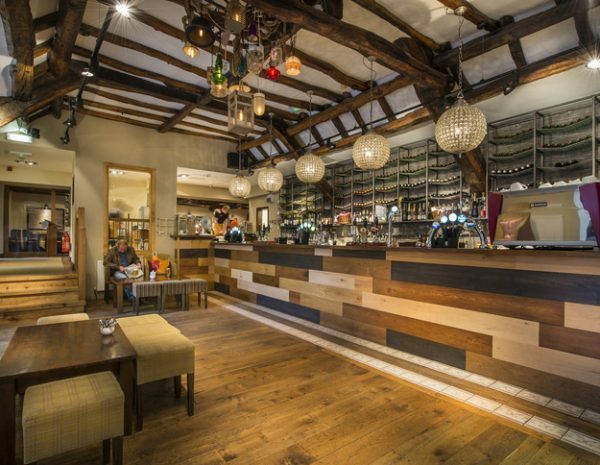 To complement our menus we have an extensive cellar of specially selected new and old world wines. 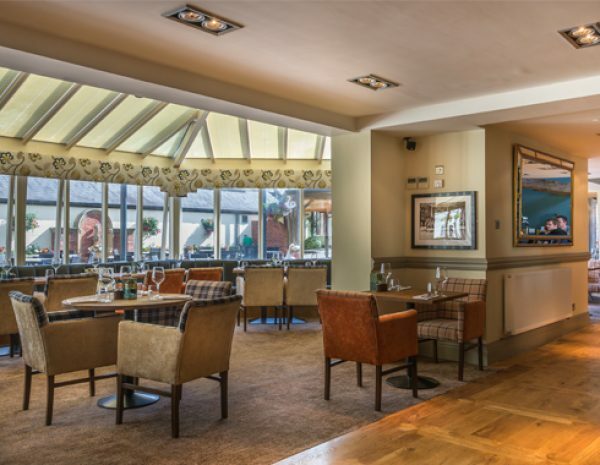 Enjoy a carvery lunch between 12pm and 2pm on Tuesday, Thursday & Saturday – now available in three sizes! 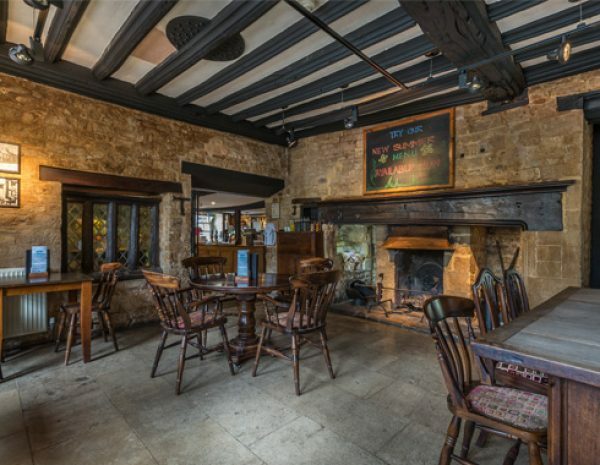 The Eatery at the Golden Lion is so named because it offers a comprehensive, but not overwhelming, menu which is available throughout our historic coaching inn but also alfresco in the courtyard area. 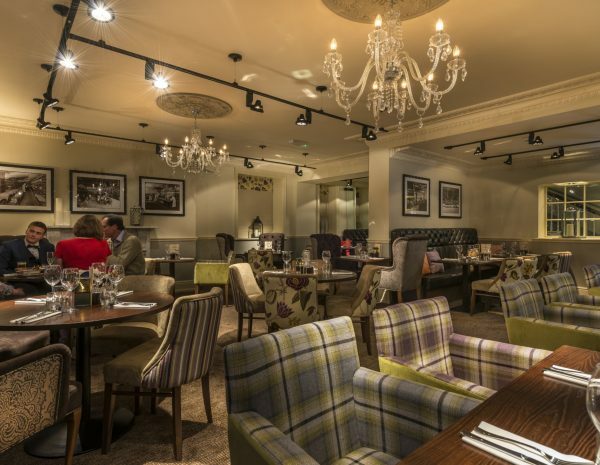 For larger groups we also have a plenty of seating in the many of the hotels alcoves. 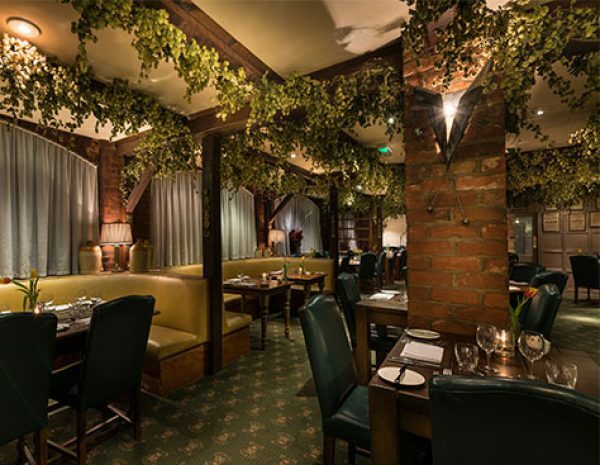 The main menu is reviewed regularly by head chef Brendan who sources ingredients locally but also travels further afield to obtain what he wants. 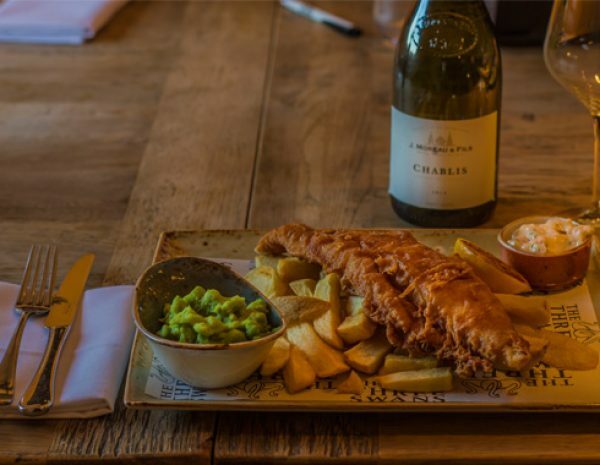 We have the perfect setting for you to enjoy food and beverages including a choice of 15 wines by the glass and a selection of up to 4 real ales. 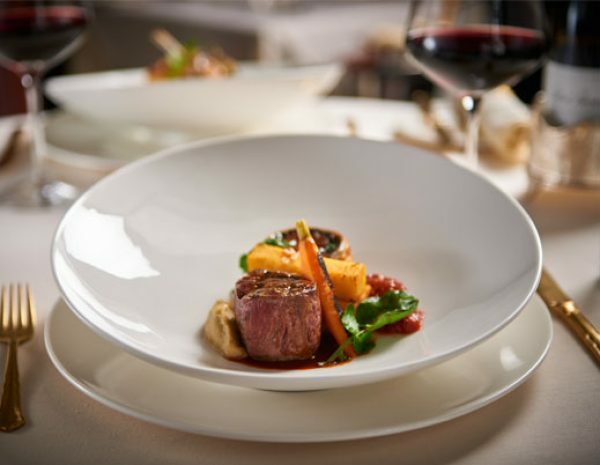 Our Eatery & Coffee House concept puts food and beverage at the heart of the hotel. 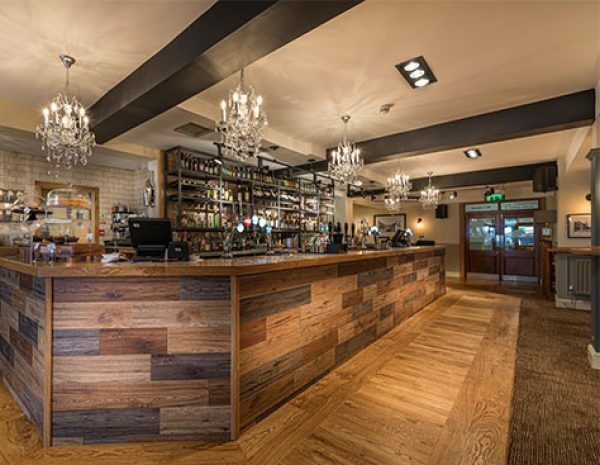 With the ground floor dedicated to creating a warm and welcoming experience, the dining and drinking areas are a comfortable and relaxing setting for any occasion. 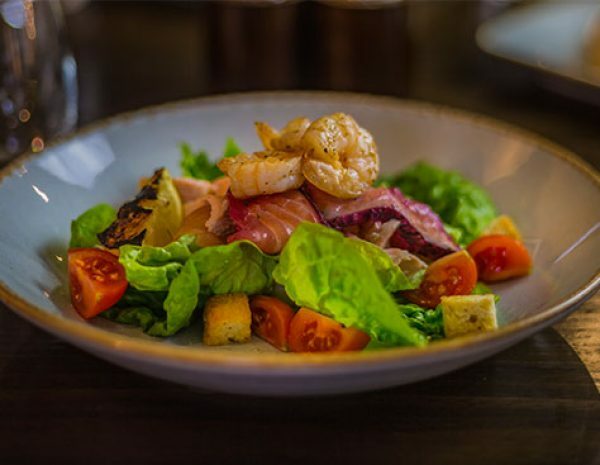 With fresh, local produce going in to every dish, our chefs take pride in providing the highest quality meals from grazing & sharing to desserts. 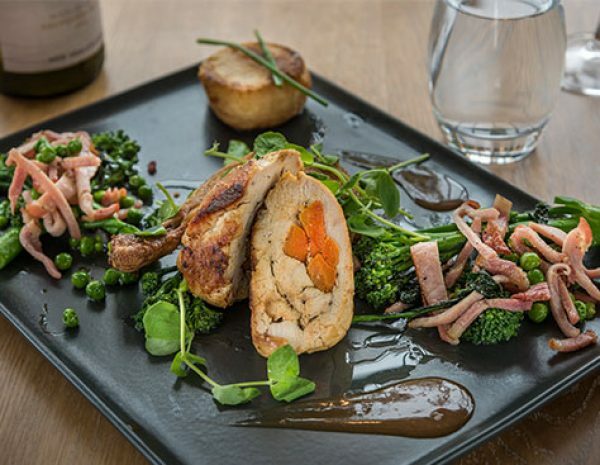 Our Fuggels Brasserie prides itself on fresh, local produce wherever possible. 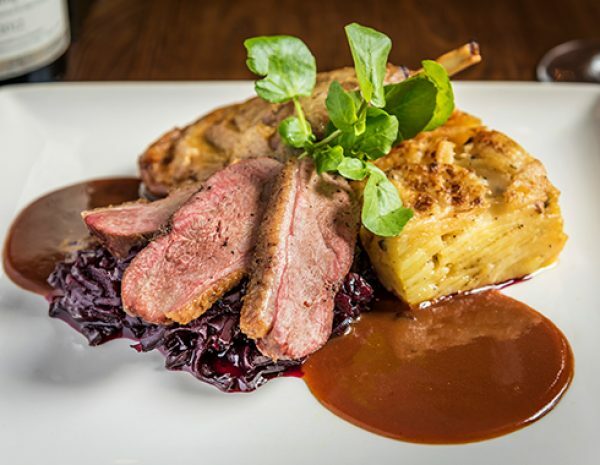 Our experienced kitchen team carefully prepare delicious, high quality meals from local pork, beef, lamb, fish and game. 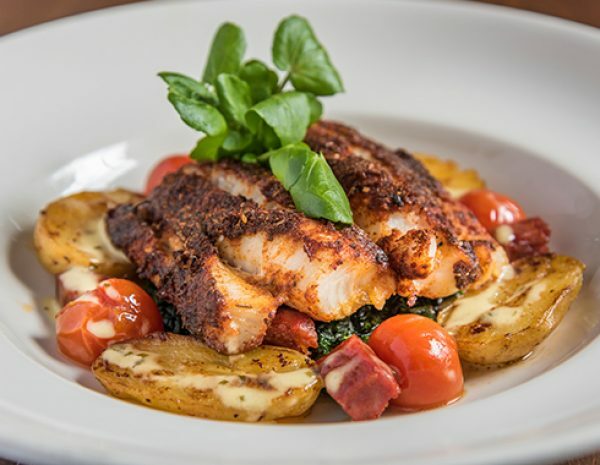 The menu normally changes every day to give you a great choice to choose from. 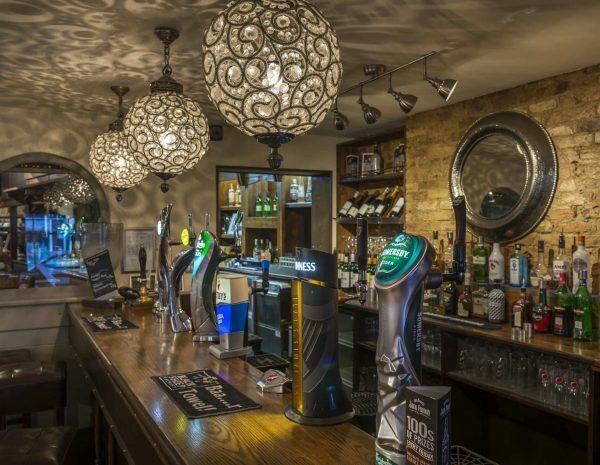 From ales to cocktails and everything in between, our Bars are stocked with a wonderful range or premium spirits, local ales and international wines. 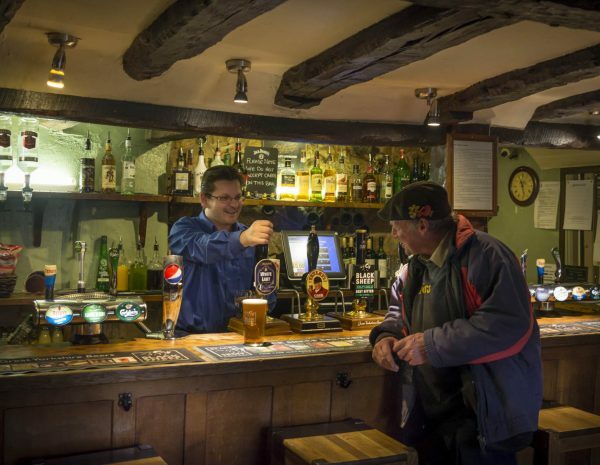 Our lovely team love what they do and can help you match your taste to your next favourite drink. 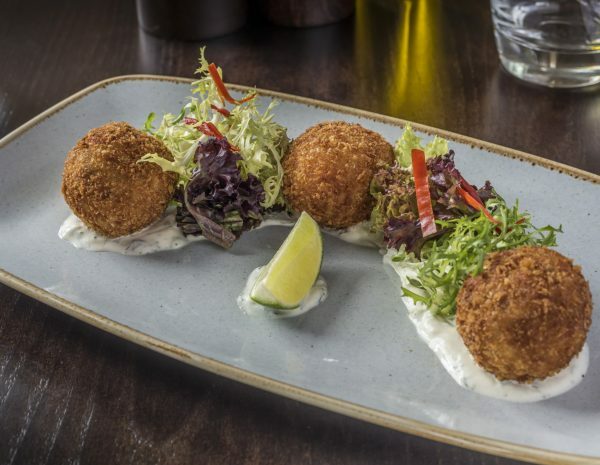 If cocktails are your thing, our cocktail menus have some new and exciting tastes, but our team can make you all the classics too. 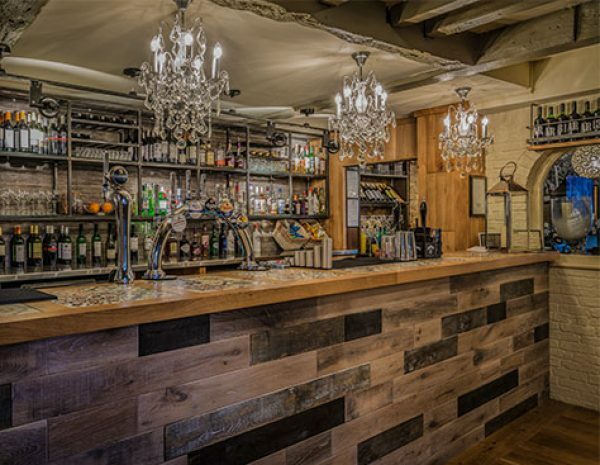 More of a Gin and Tonic drinker? 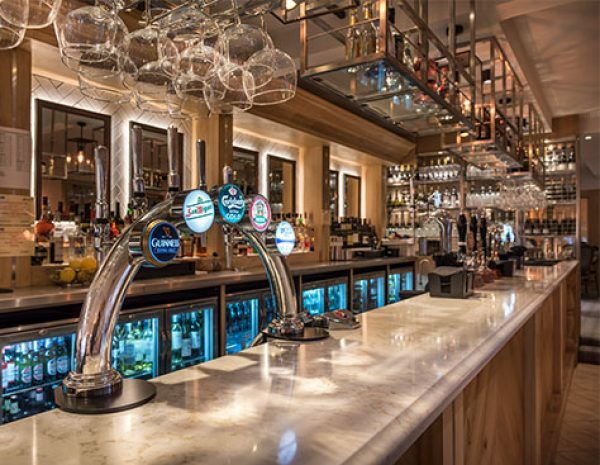 We've got you covered too with our house Tanqueray gin, and premium upgrades like Hendricks and Tanq 10. 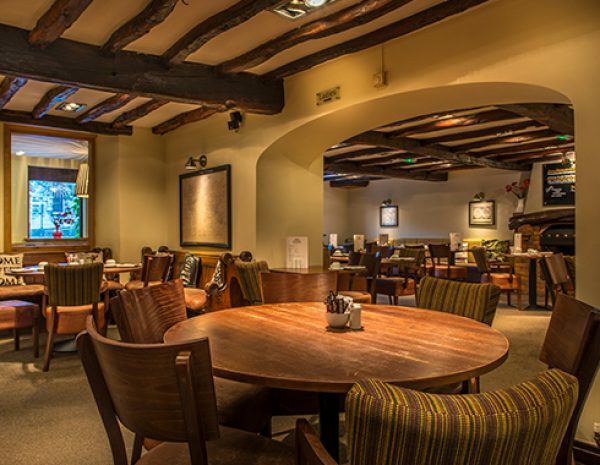 Our Coffee Houses offer relaxing and warm lounges to enjoy a cup of happiness. 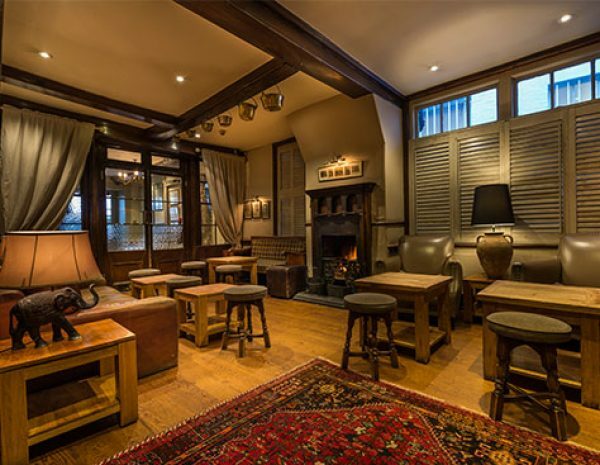 If you're a coffee snob, our house blend is ground for us by Lincoln and York and can be made in any drink from a latte to a macchiato to drink in or take away. 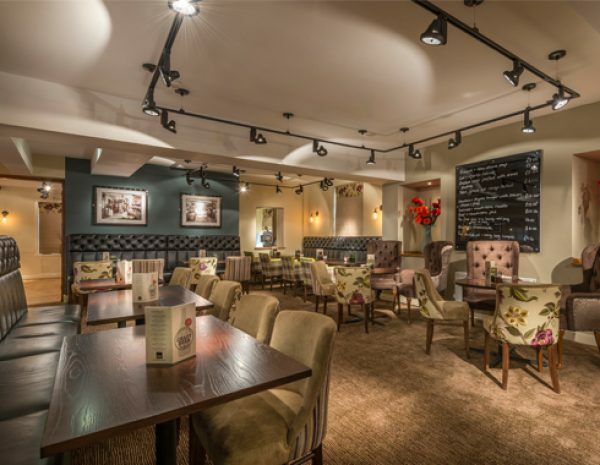 If you're a tea lover then we've got you covered too. 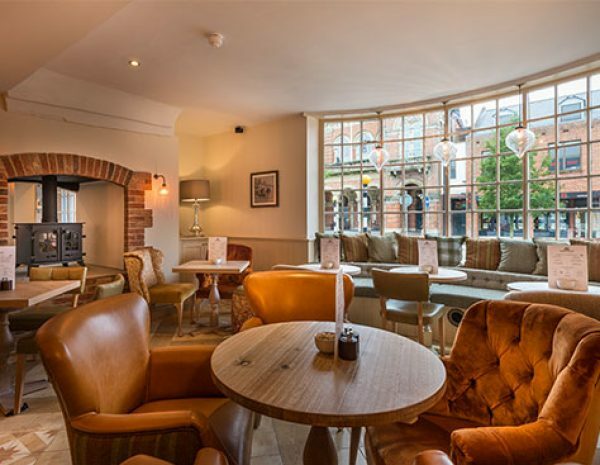 We serve a lovely range of Teapigs; no airs, no graces, just fine tea. 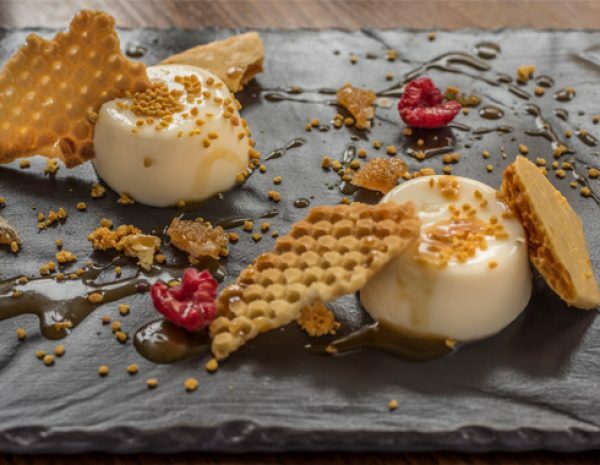 Whether it's an Everyday Brew, Jasmine Pearls or a Spiced Winter tea, we've got flavours to excite everyone. 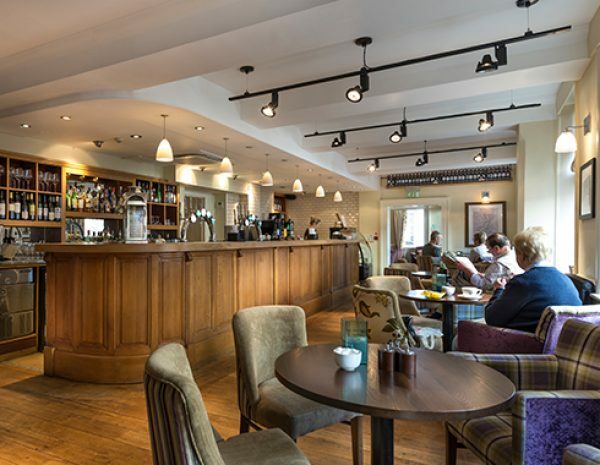 Pop into one of our Coffee Houses now to discover your new favourite.